"One of the first few in the country to obtain certificate of special qualification in vascular surgery, awarded by the American Board of Surgery." Dr. Babu graduated from the University of Karnataka in India. He completed both his general and vascular surgery trainings at Metropolitan Hospital and New York Medical College. 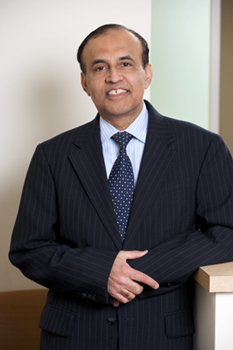 Dr. Babu is a diplomate of the American Board of Surgery and was among the first in the country to obtain the certificate of special qualification in vascular surgery awarded by the American Board of Surgery. He is a fellow of the American College of Surgeons. He is a member of regional, national, and international Vascular Surgery Societies. He has authored numerous scientific publications. He is on the faculty of New York Medical College and holds the rank of professor of surgery.